Siomai is probably the bestseller within foods enterprise marketplace nowadays many people still find it a fantastic business venture. Why would you choose siomai? Siomai is known to be one of the most favorite snack of Filipinos of all time. Because of its bite sized goodness, the consumer would always find it easier to eat especially for those who are always on the go. You can eat siomai as it is or even with rice. And if you are eyeing for a food franchise and you love siomai, then why not try your luck on Siomai House. Siomai House is the pride of Bernabest Food Merchandise Inc. and is one of the most sought after siomai franchise in the country. If you are interested to get this franchise then you better check out the details below. About Bernabest Food Merchandise Inc.
Bernabest Food Merchandise Inc. started their particular venture in the food business by simply offering Empanada in 2001. They began to expand in the year 2002. With a vision which is to be able to be noticeable as the number one in the food cart marketplace in the ASEAN region and also in order to improve relationship with buyers while generating more revenue. Their mission is to able to enlighten their buyers by giving the highest amount of support possible and also providing the latest, greatest and also top quality meal at the most realistic prices that they'll buy and continue to do so. You can get to enjoy Siomai House’s popular siomai for as low as Php 28 per three pieces. With that even the grass root level of the market can get to enjoy Siomai House. Bernabest Food Merchandise Inc. has 3 main products namely: Empanada Especiale, Mac Hotdog and Siomai House. 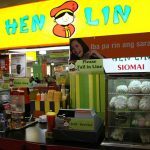 How to Franchise Siomai House? In the event the previously mentioned requirements are submitted, the target place will probably be scheduled to have an ocular inspection. You may be knowledgeable about the outcomes. If you qualify to be a prospective franchisee, you then need to secure the DTI permit in addition to two government IDs. In the event that your application is denied, you need to hunt for a different place and revert back to the first step. As soon as the franchise payment have been made, the franchise applicant is going to be scheduled with the booth ingress. 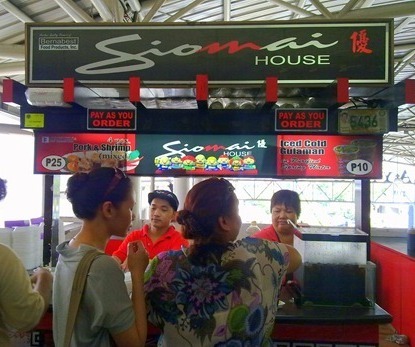 The Siomai House franchise fee is Php 300,000 to 400,000 which is non-refundable. The franchise includes the basic designed booth, freezer, steamer, beverage dispenser, advertising signs and signage, two (2) sets of uniforms, free delivery 3x a week, and other provisions to conduct the business. A three day training period for the crew on how to conduct food preparation, conduct in selling, sales reporting, inventory control and maintenance of equipment shall be provided for. The franchise agreement period will run for three (3) years while the extension fee is Php 50,000.00 annually. This franchisee shall cover many fees incidental to its company functions for the team area such as but not limited to lease/rent, CUSA, prices involving water, electrical power, waste disposal, security deposits and more. This franchisee have to attain, at his/her very own expense, from Governing bodies many important paperwork, clearances, and permits in addition to the necessary licenses to the operations with the company. What are the Limitations of the Franchise? 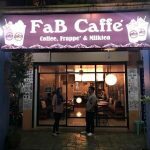 They are not accepting franchisees in all SM outlets. So when you have finally decided to have your very own business venture and you have the eye for the food industry then Siomai House would be one of the best bet for you. 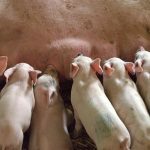 Since it is a known brand in the Philippines, as it is renowned for its flavor, you would not have a hard time getting more customers and regular patrons. Your rate of return of investment would be accelerated if you have a good location, proficiency in management, strong sales inducing factor and other factors that would be favorable on your end. It all boils to your passion and determination to succeed in the end. Kasama ba sa 400,000 ung siomai? I’m interested to franchise siomai house, kindly give me the detailed. Pwede na po ba mag apply for franchising? In your 300k_400k franchise fee the product itself not yet included? how much long before we can get started after franchising if settled npo lahat paid and no more. 1 tym lang po ba bigay ung 300-400K? 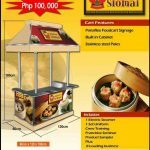 PM Sir/Mam pwedi po ba food cart lang ang bibilin kc my freezer naman sa mga mall kasama na sa rentahan food cart lang po need ko tapos suply nalng nang siomai… delivery 3x a week reply sir/mam para maka estart ako. Good morning..we are interested to your product to frnchise..300 to 400k ksma na po ba lahat pati un product siomai and gulaman..pls..reply if u have time..thank u and good day..
pwidi maka hingi ng cellphone number sa company nyo..ma,am/sir…..
Hi, my name is Joy, I just want to ask if the siomai house food cart can franchise here in Singapore? How to franchise po and nu po ang inclusion sa 300k-400k .? one time payment po ba ang 300-400k? other option po kung hindi kaya ang 300-400k starting po? salamat po sa reply.. godbless and more power po..
other option po if hindi kaya ang 300-400k starting po? I want to inquire if the siomai supply is included already with the fee? 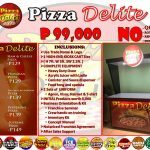 I’m interested po magfranchise.. Kindly give me d detailed… My ibang option p po b kau pra mkpgcmula po agad kung hndi po kaya ung 300-400k. I’m interested anh willing to franchise po. Im intetested to frsnchise.yung 300 to400k po ba one time payment ? Wat about the food sa start ng buss ksama na ba sa alloted amount given to us?pls reply.tnx. Im interested to franchise.yung 300 to400k po ba one time payment ? Wat about the food sa start ng buss ksama na ba sa alloted amount given to us?pls reply.tnx. 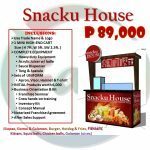 Pwede po ba pki complete details po kung paano at magkano ang magpa franchise po… kasama na po ba ang shiomai dun?? gusto ko mag-francise ng siomai house how all total francise pay.free na ba yong cart. Same question po..if included na po siomai sa 300k to 400k at may iba po ba kayong options or 1 time payment lang po ba talaga yung 300k to 400k..? With all the requirements listed saan po i susubmit? Do you have an email address? We are really interested in franchising the business. Please do reply. one time lang po ba ang bayad dun sa 300k-400k? I would like to know if pwede sa any SM malls ang siomai house please let me know Asap po. Ksma npo ba siomai sa franchise? If cart lang po at steamer kaylangan ko at meron na akong chest freezer. Magkano yun? Salamat. Isang bayaran po ba yung 300k-400k. Pwede po ba mag frachise kung sa Northern Samar yung location? im interested to franhise.please send me the details. Kasama na ba siomai sa 300 to 400k? Kasama na ba product sa 300 to 400k? Puwede bang say Mindanao Ang bussiness Kung Hindi Saan Lang puwede? Just want to inquire po for siomai house franchise.. I am planning to put up this kind of business but I’m currently based here in Dubai. My business partner which is my father will be In-charge for processing of all the necessary documents. Could you please send me a breakdown of your package? pls provide feasibility study and details needed to franchise. thanks! Just want to inquire if how long is the process of franchising?Regarding the 3x free delivery per week, is this good for 3 years upon finishing the contract?Can you please clarify the additional cost such as the electric.etc…. I hope to hear from you soon and to start partnership. Hi Mam panu po mag franchisee ng Siomai house? I have a location na po. 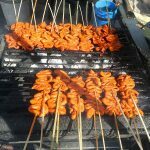 Franchise is at 250K covers the foodcart, equipments and delivery; no set-up fee, no royalty fee. We cannot answer all questions here so for other inquiries, jobs, events and sponsorships, email us at siomaihouse@yahoo.com.ph. Thank you! Interested! Pwede po ba sa Marawi City? Free delivery po ba? ask k lang po kung isang bigayan lang po b ang bayad n 300-400? saka ang siomai b kau ang mag susupply? pano kasama n b ang siomai n paninda sa 300-400 n yan within 3 years? Im very interested to franchise your product, Kindly send me emails for more details. Im interested, but can you help us looking for a location? Thank you. HOW TO FRANCHISE PLS SENT ME A DETAILS. 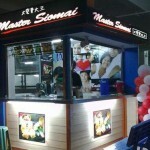 Good day.We are interested to franchise Siomai House. Thanks nd God bless. I’m interested to avail this franchise ,please send me the all details please. How much could be my possible income for a month. yong 300 to 400t, isang give po ba? Magkano ang net per day yung pinaka common? How to Register for a Business Name in the Philippines? Mango-Ong: Food Cart, History and is it for Franchising?